Founder & President of CloudReady.ch, French ambassador for Net2 (Techsoup.org), co-founder ICT-a.ch, main organizer LiN (Léman Innovation Numérique, http://membres.LiN.mx), and inter-collaborative program www.Tech4good.ch. Social entrepreneur from the new “Google” generation, born 40 years before others, Pascal Kotté depicts himself as a digital fracture reducer and a digital ethicist. He believes digital transformations must be planned for sustainable production and not human reduction. Starting as a C/UNIX developer in 1986, he then moved into videotext servers and later towards Apple & Windows networking integrations and automations. 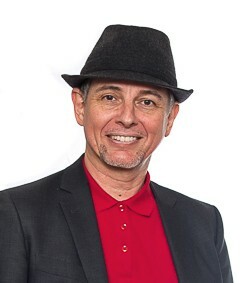 Pascal’s motto is that holistic data valuation and tuning must connect humans, not only computers.